Jack Kent Cooke Foundation Executive Director Harold O. Levy will speak at the South by Southwest (SXSW) Education Expo this afternoon in Austin, Texas. Mr. Levy will give his presentation today at 3:20 p.m. (CT) alongside other leaders discussing achievement gaps and educational equality. The four-day conference and festival has become a premier education event over the years, giving participants access to innovative sessions and workshops, networking opportunities, and engagement with startups. Mr. Levy will speak about innovative strategies to close the excellence gap, the disparity in the percent of lower-income versus higher-income students who reach advanced levels of academic performance. The “gap” appears in elementary school and widens as students move through middle school, high school, college and beyond. 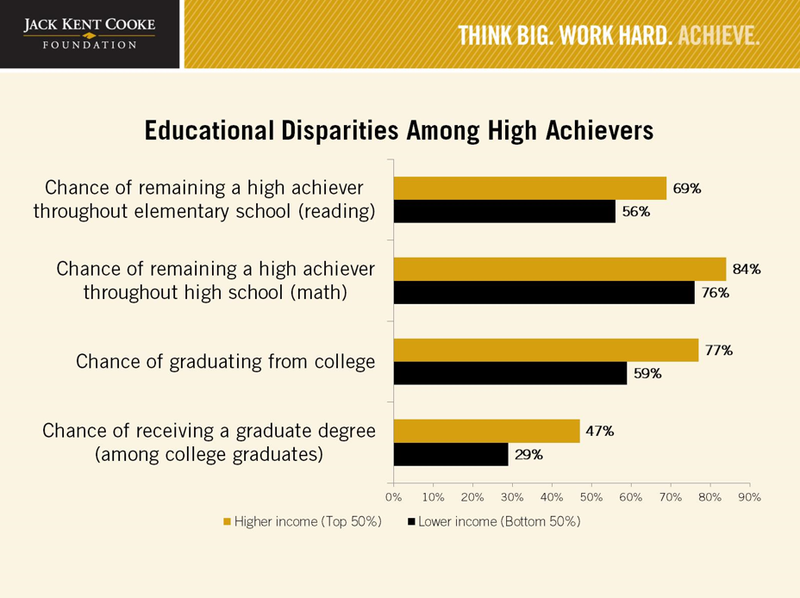 High-performing, low-income students are less likely to attend college, attend selective colleges and universities, and graduate than their higher-income peers and require guidance and support to reach their full potential. You can download the full slideshow presentation here or by clicking on the image below.